In the songs and bubble feeding of humpback whales; in young killer whales learning to knock a seal from an ice floe in the same way their mother does; and in the use of sea sponges by the dolphins of Shark Bay, Australia, to protect their beaks while foraging for fish, we find clear examples of the transmission of information among cetaceans. Just as human cultures pass on languages and turns of phrase, tastes in food (and in how it is acquired), and modes of dress, could whales and dolphins have developed a culture of their very own? Unequivocally: yes. 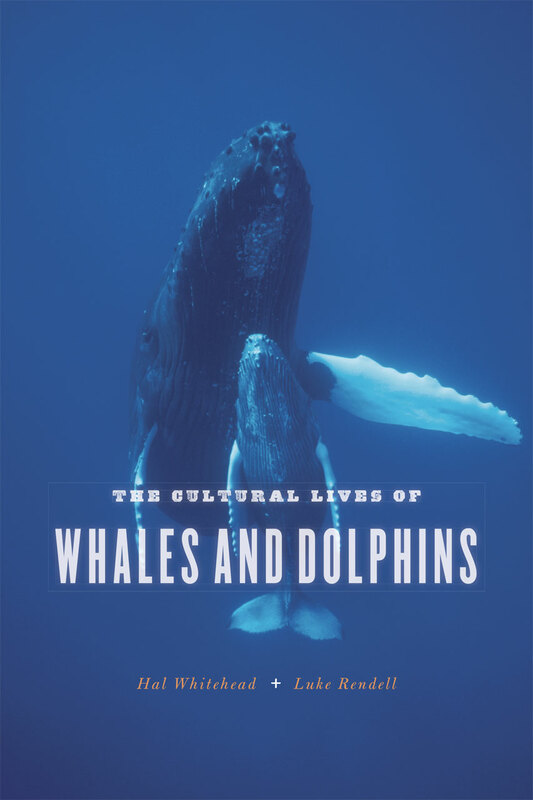 In The Cultural Lives of Whales and Dolphins, cetacean biologists Hal Whitehead, who has spent much of his life on the ocean trying to understand whales, and Luke Rendell, whose research focuses on the evolution of social learning, open an astounding porthole onto the fascinating culture beneath the waves. As Whitehead and Rendell show, cetacean culture and its transmission are shaped by a blend of adaptations, innate sociality, and the unique environment in which whales and dolphins live: a watery world in which a hundred-and-fifty-ton blue whale can move with utter grace, and where the vertical expanse is as vital, and almost as vast, as the horizontal. Drawing on their own research as well as a scientific literature as immense as the sea—including evolutionary biology, animal behavior, ecology, anthropology, psychology, and neuroscience—Whitehead and Rendell dive into realms both humbling and enlightening as they seek to define what cetacean culture is, why it exists, and what it means for the future of whales and dolphins. And, ultimately, what it means for our future, as well. Is This Evidence for Culture? This Book Came From and Is Built On . . .
Philip Hoare | author of "The Whale" and "The Sea Inside"
Charles “Flip” Nicklin | photographer and author of "Among Giants: A Life with Whales"
"This extremely well-written book is an exemplary attempt at peacemaking in the so-called culture wars. Whitehead and Rendell provide a clear historical perspective on the study of animal culture, up-to-date literature reviews on behavioral innovations and traditions in non-human animals, comprehensive classifications of social mechanisms (i.e., the building blocks of culture), and careful critical analyses of the similarities and differences between human and animal cultures. The title of the book does not give a full appreciation of the long-term and fascinating research by Whitehead and Rendell. The authors’ insight and open-mindedness allow them to successfully address key definitional issues (e.g., ethnic markers, social norms); discuss the strengths and weaknesses of several methodological approaches to studying culture (e.g., method of elimination, experimental designs); link brain size, cognition, communication, and sociability; and explain the (mal)adaptive consequences and evolutionary implications of cultural transmission (e.g., gene-culture coevolution). . . . Spiced up with excellent quotations, this book will resonate well with a broad readership, from cetacean lovers to students of animal behavior to the general public. . . . Essential. All readers." "A comprehensive academic work by researchers who have devoted their careers to studying sperm and killer whales. . . . The discovery of nonhuman societies composed of highly intelligent, social, empathetic individuals possessing sophisticated communication systems will force us to reformulate many questions. We have long asked whether we are alone in the universe. But clearly we are not alone on earth. The evolution of intelligence, of empathy and complex societies, is surely more likely than we have hitherto considered."